If you have any Civil War buffs in your family, then heading to Perrville should be at the top of your Kentucky bucket list! The battlefield was the site of one of the deadliest Civil War battles in Kentucky. Today the 750 acre battlefield hosts a reenactment each October. When there isn't a reenactment taking place visitors are welcome to explore the site and act out your own battle! Parents against kids anyone?! If you want to tour the museum that is on site the cost is $4 for adults, $3.00 for kids 7-12. You can visit the website here. While you are in town you are bound to get hungry so make sure you stop in at Cue on Main, a diner style restaurant. The reviews all rave about the dishes that you can get there, and it isn't hard on the pocketbook either! Win-Win! 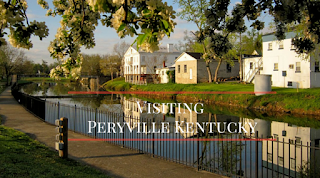 Have you and your family visited Peryville before? What was your favorite stop?